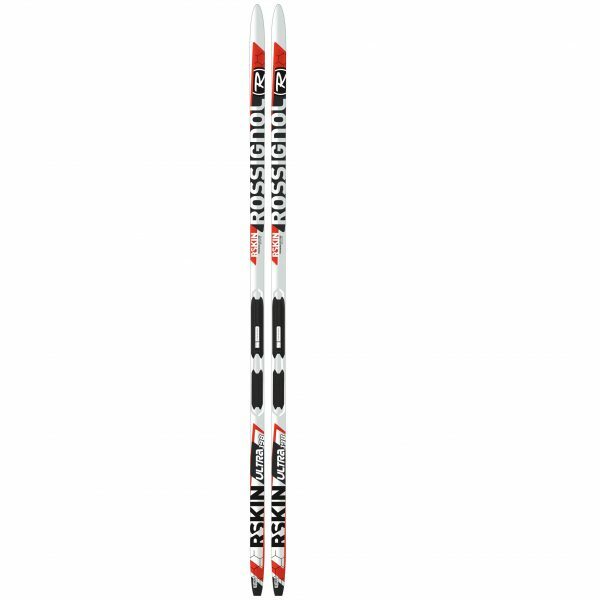 Built on our Ultralite construction, the R-SKIN ULTRA is an accessible, mohair skin classic ski for fitness-oriented skiers. Compatible with the new Turnamic® binding system, our new Integrated Fixation Plate (IFP) allows the most natural ski flex for unparalleled snow feel, precision, and glide. Replaceable mohair inserts (100-150 days) provide great kick in all conditions with no prep. R-SKIN TECH – Featuring a replaceable mohair insert, waxless R-SKIN base structures offer an easy, consistent kick and maximum glide with no additional prep work. LDC CORE – Our exclusive PREMIUM LOW DENSITY CORE construction features a lightweight wood core with air channels, and basalt fiber reinforcement for increased strength and energy. ACTIV CORE – Our ACTIVE CAP construction combines ROSSICAP and multi-directional fiberglass for a supple flex from tip to tail to glide over uneven terrain and increased torsional rigidity for enhanced control.